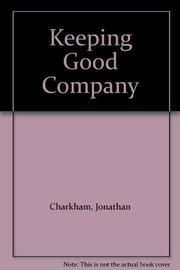  Charkham, a former Bank of England aide and member of the United Kingdom's Cadbury Committee (which produced a 1992 report on the financial aspects of corporate governance), offers an informative (if occasionally donnish) primer on how private enterprises are managed in France, Germany, Great Britain, Japan, and the US. Broadly speaking, corporate governance (a term of art that defies concise definition) involves the ways in which professionals run publicly held companies and their accountability to investors and other constituencies (often referred to as stakeholders). Before getting down to cases on different business practices, the author provides context with audits of the banking, cultural, labor, legal, regulatory, and tax regimes that obtain in each country. From that base he goes on to examine the advantages, benefits, and failings of various approaches to governance, addressing the considerable authority ceded most American CEOs by directors, the value Japanese executives place on collegial deliberation and consensus, the discipline imposed on corporate stewards by takeover threats, and the frequently adversarial roles played by activist institutions in the US and (to a lesser extent) the UK. Covered as well are the autocratic powers of France's corporate chieftains (which the author speculates may derive from the esteem still accorded historical figures like Napoleon and de Gaulle), Germany's two-tier board system, and the administrative principles common to all industrial powers. In a windup chapter, Charkham reaches the arguable conclusion that, on balance, Germany and Japan have the most efficient systems of corporate governance. A detailed and enlightening introduction to a socioeconomic construct that is a vital determinant of the wealth of nations.